Noon Central Time, 1 Eastern Time. 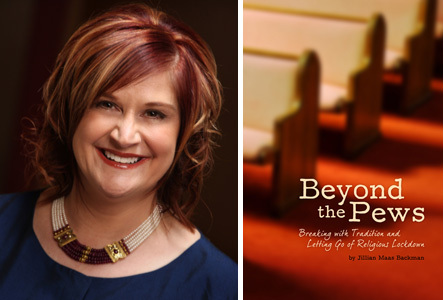 Jillian Maas Backman has traveled well beyond the pews, and also “breaking from tradition,” will be exploring the sacred place of peace and light, broadcasting live during her Asian trip from the ruins of Angkor Wat, Cambodia. The universal ritual of worship transcends in the beauty of the temples created so very long ago. Jillian will be relaying to her audience the splendor, beauty and architecture of these beautiful and sacred temples, and what it’s like to be in the midst of ancient religious and spiritual grounds. Another benefit of her Asian excursion is that her book, BEYOND THE PEWS, will be introduced to the Asian market through bookstores. Jillian! What a smile you have… What a gift to be in such a location! ‘Just wonderful! Best of luck…and ‘want to hear all about it!